Unlike silver, gold is an extremely soft metal, so gentle cleaning procedures must be used to maintain the quality of the necklace. Gold doesn't tarnish easily, but when it does, it is easy to clean. By using a couple of household materials, you can get tarnish off of a gold necklace in only a few minutes, and with little effort. Add several drops of a mild dishwashing liquid to a basin of warm water. Place the gold necklace into the liquid and rub gently using a cotton swab. Never use toothpaste or baking soda. These are too abrasive and will cause imperfections. Remove the gold necklace from the basin and rinse under warm water. Use a soft cotton cloth to dry the necklace. Avoid using paper towels or other wood based cloths. Allow the necklace to air dry overnight. Moisture is the main cause of tarnishing, and air drying ensures the necklace is completely dry before replacing in a dank drawer. Placing a small fan in front of the necklace may expedite drying. Rub down the dry necklace with the cotton cloth, or a jewelry polishing cloth. Never rub in circular motions, as this can cause a swirl effect on the gold. Use long, straight swipes to shine. Store the gold necklace in a clean and sanitized location. Jewelry boxes stay dark, making it hard for gold to dry out. 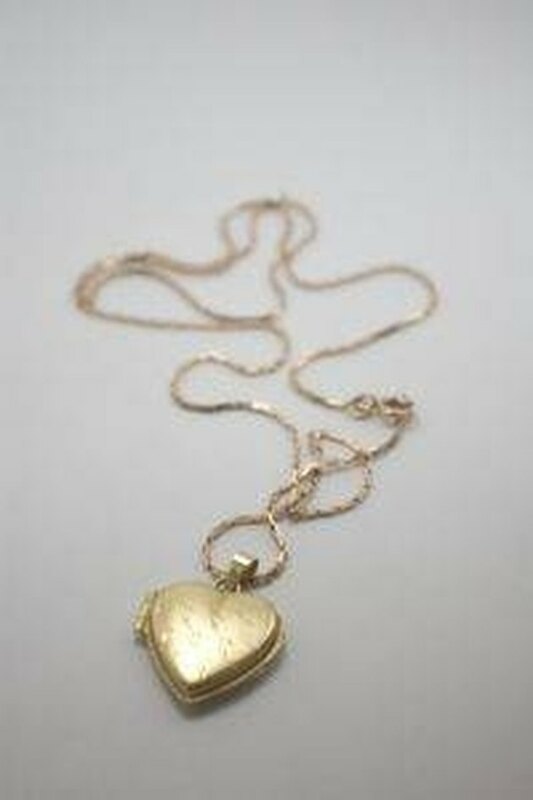 Prevention is the easiest and most effective way to keep gold necklaces from being tarnished. Anytime they are exposed to water, dry them thoroughly with a cotton towel and leave them out overnight. How Are Gold Rings Made?